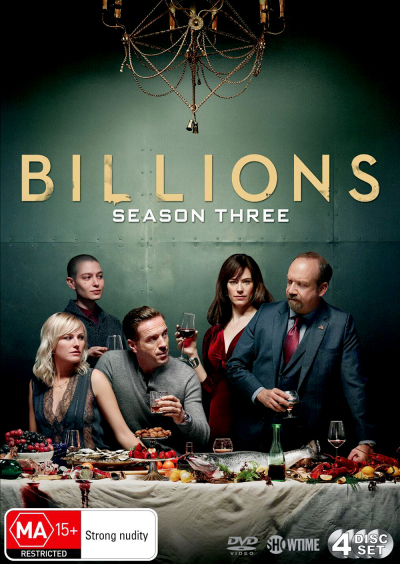 Damian Lewis and Paul Giamatti return for the Billions Season 3 DVD which is the 2018 series. Chuck Rhoades and Bobby Axelrod are in a world that has shifted on its axis. Both men are still determined to destroy the other, but must also battle for their own survival amidst new forces and powerful enemies. Wendy Rhodes, Chuck's wife and Axe's performance coach, is all in for both of them, an uneasy and dangerous position for her and one that ultimately puts her to a decision that could alter the direction of her life irrevocable. Money, power, justice and revenge are all on the line for each of these characters. 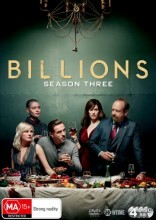 Click the button below to add the Billions - Complete Season 3 to your wish list.